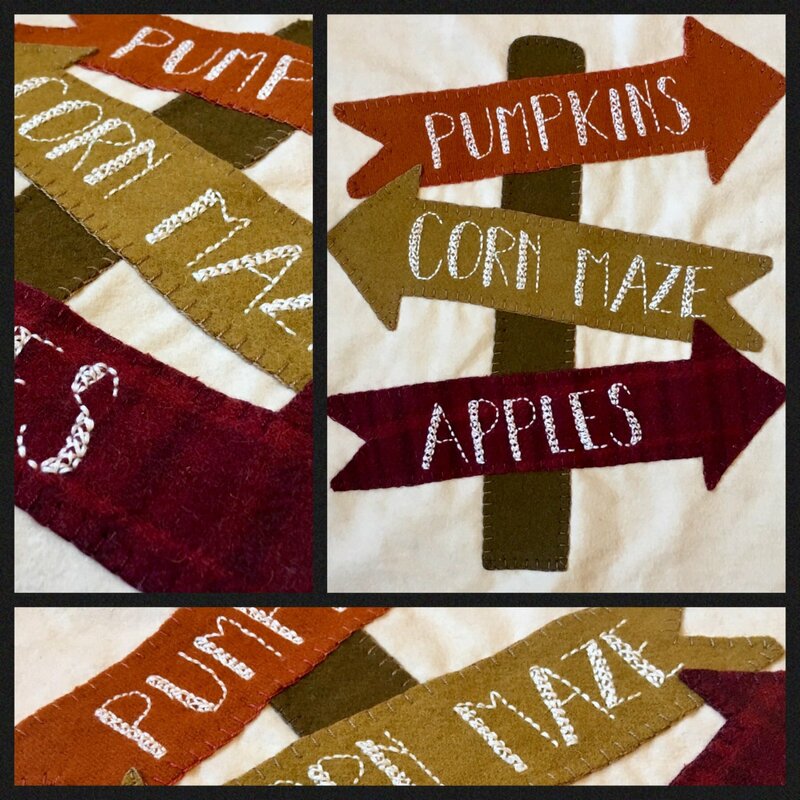 Welcome to the Pumpkin Patch - Mystery Block of the Month 2019 designed by Sew Blessed. The first block in a 12 month series. Wool applique on flannel. Finished size for block one 12 1/2" x 12 1/2". Kit includes background fabric for the first 9 blocks and wool for block 1. (Background fabric for block 10 & 11 will be included in block 10. Finishing fabrics will be included in block 12.) Thread not included. Thread kits will be available soon! Pattern can be downloaded through our Facebook page or purchased from the shop.